Tired of replanting your trees? 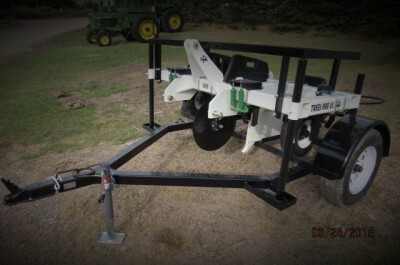 Try the TP 2000+ Tree Planter! Increase your survival rate simply with the use of the TP 2000+! Its one time pass planting and packing. You'll find there will be no more toe tapping, foot stomping, or tractor packing needed. Just simply plant and let the press wheels do the rest. 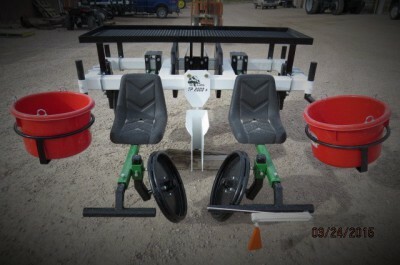 The TP 2000+ tree planter has been redesigned after years of use to even withstand "no till" conditions. The machines' key to success is the rear mounted press wheels, that are 16" solid steel and weigh 50 lbs a piece. The arms float independently with heavy planter springs keeping constant down pressure, even across unlevel terrain. Riders on the TP 2000+ face backward, instead of forward, making it easier to see where they've been. Therefore, spacing trees more evenly! With the optional trailer you can haul you TP 2000+ with ease. 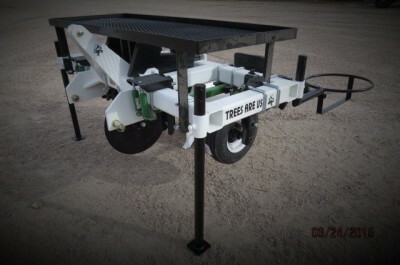 To help with the survival rate, try the Trees Are Us MULCH MACHINE, for barrier installations!